Nemours Children’s Hospital may have only opened their doors six years ago, but in that short time their reputation has attained global recognition. Located in the heart of Orlando, Florida, this state-of-the-art hospital attracts families from near and far to treat complex illnesses and diseases. While there are over 5,000 hospitals in U.S., Nemours’ world-class medical technology, homelike environment, and superior power management system sets it apart as one of the top children’s hospitals in the country. As part of the Nemours Children’s Health System, the hospital was designed through close consultation with families, many of whom had extensive experience with the pediatric health system. From the way rooms are organized to be as homelike as possible to the special visits from local theme park characters, everything at Nemours is designed to create a calm, comfortable environment for children and their families. Built in an area that is notorious for severe weather and power outages, having a continuous source of power was a top priority for Nemours. A reliable power management system not only allows equipment to function 24/7, it ensures a safe and comfortable environment for staff and patients. In order to design this power management system, Nemours joined forces with Schneider Electric and its team of EcoXpert partners. By working with Nemours in the early design stages, the teams were able to gain an in-depth understanding of the hospital’s needs. By implementing Schneider’s EcoStruxure for Healthcare solutions – which includes power monitoring, predictive analytics, access control, and immediate battery backup – Nemours ensured its patients and staff will never be left in the dark. Knowing the facility will always have clean, reliable energy allows the hospital staff to focus less on power management and more on delivering life-saving treatments to children in need. 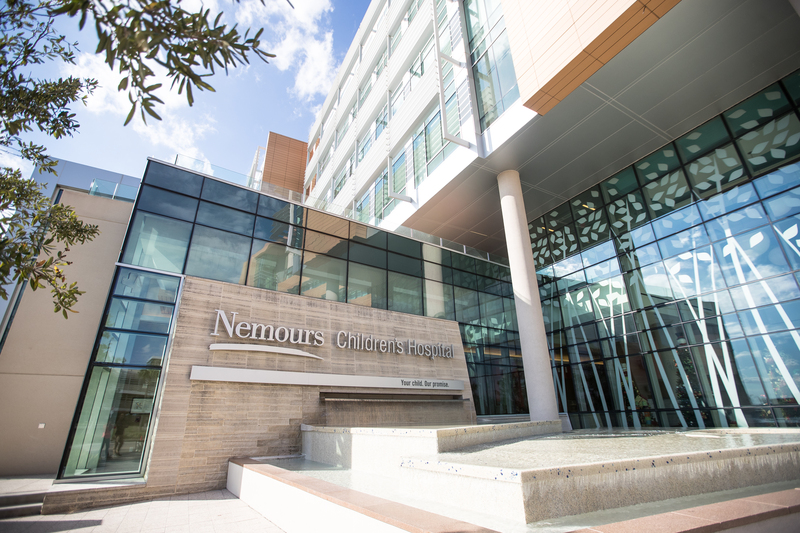 To learn more about Nemours’ power management and the incredible work that the hospital is doing, read the full case study. You can also learn more about what Schneider is working on with other healthcare facilities.